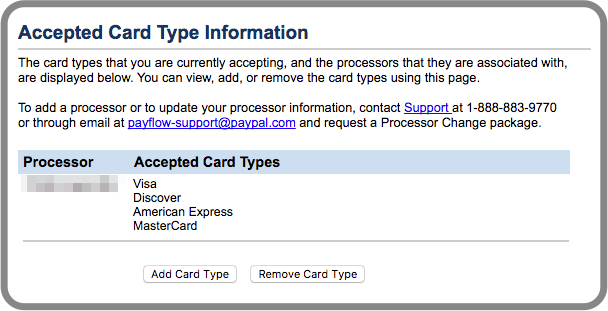 How do I edit the accepted Credit Card types through Payflow Pro? 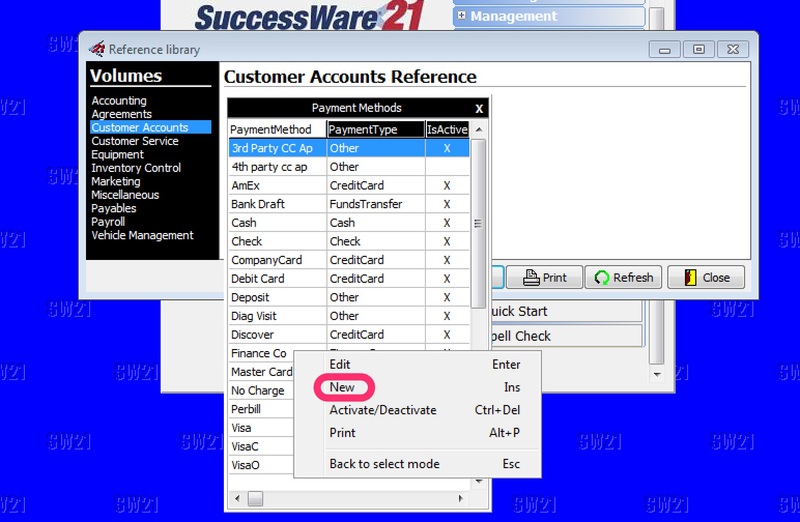 You may also need to check on the accepted card types through SuccessWare21 or the Techs will not be able to accept the card. Note: All card types are on by default. 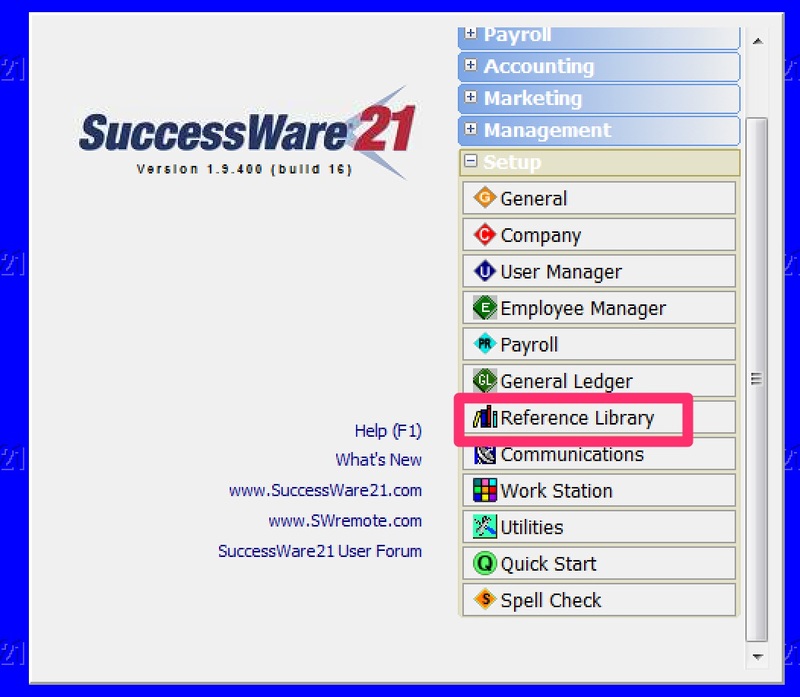 Log-in to SuccessWare21 and click the red 21 button at the top of the screen. 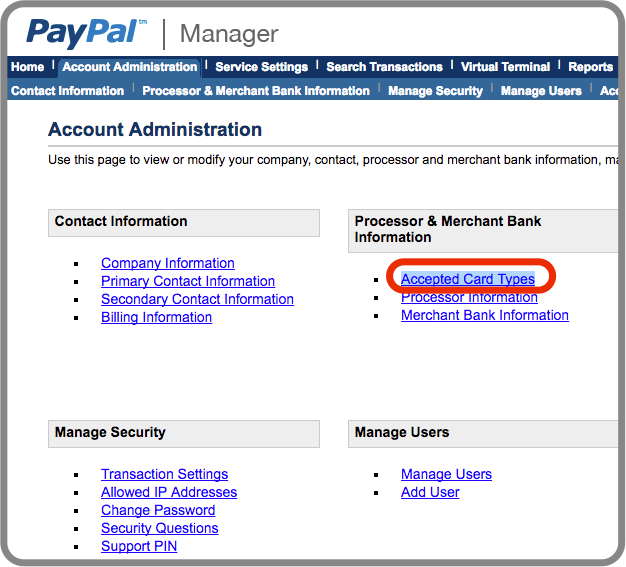 Enter text into the Payment Method, which will act as your Title (Visa, Master Card, AmEx, Discover etc). Tab or Click into the Payment Type box. Then Click the Box with the 3 Dots. A list will appear. Choose 'Credit Card' from this list. Right Click and select Save Change. If you need to simply turn a Payment Method on or off, this is controlled by having an X in the "IsActive" box.